Does anybody watch the TV show Storm Chasers? I don’t. I learned all I need to know about tornadoes from Twister in 1996. Anyway, Storm Chasers is pretty much the same deal, and only slightly more scripted. However, they do have one cool character… The Dominator. Basically it is a modified Chevy Tahoe that looks as if it were a prop on the set of a Batman movie. The concept is simple: any weather, any time. While nobody in their right mind would ever recommend riding your motorcycle in a tornado (though Almira Gulch would have been way cooler if she was on a 1200GS), the REV’IT Dominator series has what you need for all-weather, year-round trekking. Our team has looked over the new REV’IT! Dominator GTX Jacket Jacket and unanimously confirmed it as an absolute beast. With features based on a massive amount of feedback from off-road specialists around the world, this is the most functionally rich jacket that they have ever produced. By utilizing the Engineered skin® design philosophy, which has allowed them to make some of the best fitting gear on the market in recent years, REV’IT! has created an absolutely stunning jacket that allows for advanced mobility in almost every functional direction. 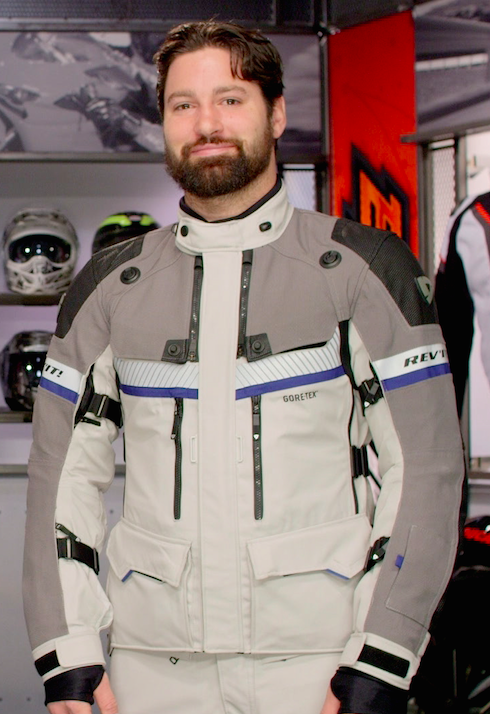 From the incorporation of the 100 percent waterproof Gore-Tex lifetime guarantee, to the ability to take an Adventure neck brace as well as the Challenger Cooling Vest, and even a detachable kidney belt that affords even better fitment, this is a jacket calibrated for the most ardent of motorcyclists. To round out the outfit, the REV’IT! 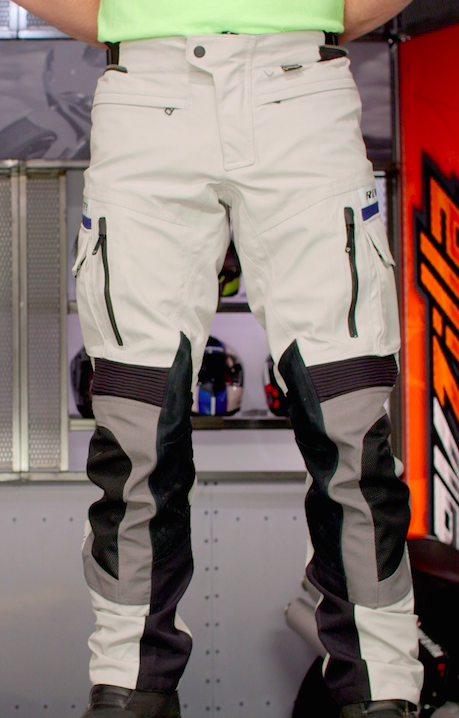 Dominator GTX Pants are the second half of one of the best all-around motorcycling gear sets on the planet. These pants are one layer that does it all. No more worrying about multiple layers with multiple functions. Consider that hindrance gone. The 3L Gore-Tex membrane is laminated to the outer shell so that you don’t have to be concerned with the random sprinkle (or downpour). You will always be ready and waterproof. At the same time, the jacket remains highly breathable. Nobody likes that swampy mess that can be created by lesser quality rainguards. Ew. From specialized aqua-defense zippers for ventilation when needed, to seat grip panels, and reflective materials on the outer leg and waterproof stash pockets, these pants have everything an adventurous motorcyclist could want. So while nobody in their right mind would recommend riding your motorcycle through any F5/EF5 tornadoes (or any tornadoes at all, for that matter), when it comes to all-weather, year-round functionality, the REV’IT! Dominator GTX series will be an absolute juggernaut.